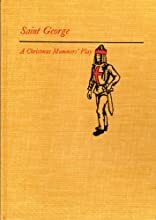 Saint George a Christmas Mummers Play was written by Katherine Miller. Saint George a Christmas Mummers Play was published by Houghton Mifflin Company. About Katherine Miller (Author) : Katherine Miller is a published author. Published credits of Katherine Miller include Saint George a Christmas Mummer's Play.